Many people cite learning a second language as one of their top goals, yet many adults fail to follow through with their plans to achieve this skill. Studies have also shown that learning a second (or third) language is easier early on in life, which is why establishments like Crossing Borders Preschool are here to provide professional instruction for young students. Our language immersion programs in Houston are tailored to provide a full range of learning activities for children between the ages of 18 months and 5 years, with the addition of immersion teaching to help integrate bilinguality into every lesson. Mandarin immersion is one of the most valuable programs we offer, as the Chinese language is the most widely spoken dialects worldwide. 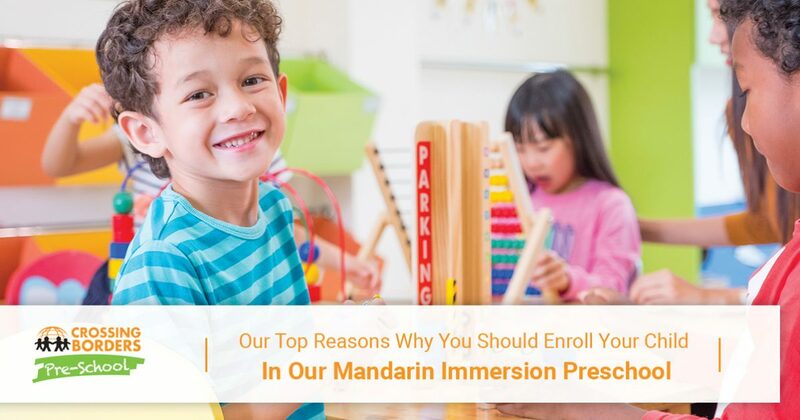 Today, we’ll highlight a few of the top reasons why you should enroll your child in our Mandarin immersion program. If you’re ready to learn more about our top-notch approach to mastering a new language, be sure to call our local preschool today! 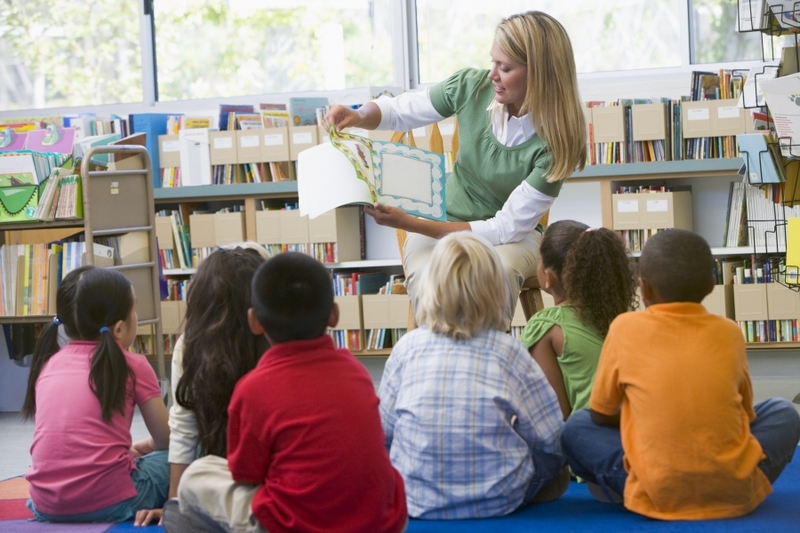 Children who only speak one language are sure to succeed in today’s world, but those who begin to master a second language can benefit from numerous advantages. 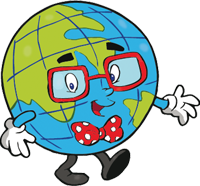 Increased social competence, global awareness, and improved mental competencies can all equip your child for a lifetime of success. Learning Chinese will also open up a new world of culture for your little learner. As one of the oldest civilizations, there is much to learn about China. Call us today to learn more about the excitement of Mandarin immersion! Learning a second language has been proven to boost mental cognition and increase a wide range of abilities, including concentration, problem-solving skills, and more. Mandarin immersion helps to deliver a wide range of learning activities that stimulate nearly every part of the brain, relying on an entirely new format for language. Instead of relying on relying on modifiers and conjugations, the Chinese language relies on tones to change the meaning of words. This adds an entirely new element of language immersion, showing young learners that there is more than one way to accomplish a task or solve a problem. Making the jump into the use of tones is far different than English or any of the romantic languages. Before you stress out about the complexities of this language, keep in mind that our early childhood development center has the skills and experience needed to imbue your little one with a passion for learning. Mandarin immersion is not as complex as many people think! Learning Mandarin Chinese can be a very intimidating prospect for many Westerners. This language has evolved from a variety of alphabets, and now relies on a non-alphabetic script that can utilize letters in a supplementary fashion. Your little learner will face challenges in scribing a new form of writing, but it can help to know that there are no verb conjugations in the language itself. Many bilingual speakers prefer the logical order of Chinese, as it is more efficient and easier to grasp. Crossing Borders Preschool is here to help your child begin their journey into Mandarin immersion with proven instruction and a beneficial curriculum. Once the basics are grasped, children of all ages will be better able to understand patterns and structures that open up a whole new way of speaking. Most Americans rely on our English-speaking actors, musicians, and celebrities to be entertained, and many citizens are not aware of the wide world of entertainment that China has to offer. Beyond the most populous country in the world, countries such as Thailand, Malaysia, Indonesia, and Singapore also speak Mandarin Chinese, opening up additional opportunities for your little one to see just how big of a world is out there. Statistics show that China is quickly becoming the global leader in business, relying on the world’s fastest growing economy to boost growth and development for companies of all shapes and sizes. Over the last 30 decades, China has risen from a country struggling with economic hardships to one that now makes up a majority of trade. Business all across the world will depend on Chinese-speaking professionals to bridge the gap between nations, opening up a huge opportunity for your child to succeed. In the next 20 years, this country will continue to grow and flourish as a world superpower in the global economy. While most languages unlock the ability to speak with millions of citizens, mastering Mandarin will allow your child to effectively communicate with more than a billion people! Crossing Borders Preschool is proud to offer the best Mandarin language immersion programs in Houston, relying on our proven curriculum and native-speaking teachers to provide ideal support for children between the ages of 18 months and five years. Your child will be immersed in the Chinese language all day, learning about cultural awareness in addition to the basics of the language. Our language immersion preschool also plans a variety of social events to allow children to try out the value of their new skills in the world. 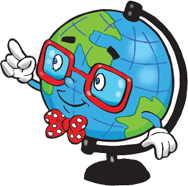 We’re excited to open a new world of language learning to your child, and we are currently taking in new students. Contact our child development center in Houston to learn about our language learning programs, and be sure to ask about our English, Spanish, French, and Mandarin immersion classes!